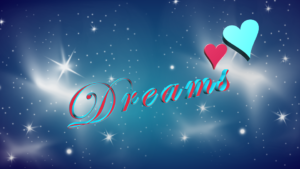 Dare To Dream – but what do we dream about for Eurovision 2019? With the slogan “Dare To Dream” being announced, we did just that; dared to dream about the 2019 Eurovision Song Contest. Can Israel make our dreams come true, or will they remain a dream? We all have dreams. Some are easy to fulfill, while others are less likely to come true. Host broadcaster KAN and the European Broadcasting Union revealed the slogan “Dare To Dream” for the 2019 Eurovision Song Contest, which made us wonder: What do we actually dream about for next year’s contest? We asked four team members from each their country about their Eurovision dreams. I dream about a winning song, which will unite instead of divide. A good song which people won’t vote for because of a gimmick, a political message or anything else than just because it honestly is the best song. Of course we all have different taste, but when Netta won the 2018 contest, I don’t think she won due to so many objectively thinking it was the best song. She was different, and proud of it. Many voted for her self-confidence, others for her little chicken act, no matter if they found it bizarre or refreshing, and some even did so as a protest against the contest. For the 2019 contest, I hope we’ll see a winner who wins because it simply is one of the best songs in the contest. And no dog or cat sounds on stage, please! I dream about the United Kingdom sending a song that the whole country gets behind. This year, the UK was gripped with World Cup fever. We started out with little hope that we would do well with such a new and inexperienced team, but suddenly we started scoring goals and winning games. There was a buzz in the whole country and everyone was excited and believed we could win. Despite losing our semi-final, the country was still proud of what we had achieved and have the belief that we will come back stronger at the next tournament. It has been so long since the UK sent an entry that the country has been excited about, one we believed in. To finish the competition with a respectable score, whether in the end we win or not. I dream of a Greek comeback. My country used to do very well in the contest, especially after 2000. I really hope that our broadcaster ERT, goes for something really big and unique next year. Eurovision is like a party here in Greece. Greeks absolutely love the contest. Back in 2016, when Argo didn’t make it to the final, the ratings went crazy. 50% of the viewers tuned to their screens. The same thing happened this year with Yianna’s Terzi Greek “drama”. So, ERT needs to understand that people here enjoy the show, and finally focus more to that TV programme. I want to see a really well organised national final which will help us find a very strong song. I want Greece back on track. When Czech Republic first reached the final, and after that a TOP 10 result this year, we were really happy. It proved that no matter where you are from, and the size of your country, everybody can succeed. My biggest dream for Eurovision 2019 in Tel Aviv is to choose a good song once again, make it to the final and reach even higher. A little bit egoistic, but for Czech Republic it is very important to make the image of Eurovision at least a little bit better. On a broader term, I hope to have again a year without controversies, but I am afraid it won’t happen with Israel as host. I “Dare to Dream“ of a Eurovision Song Contest where there are no threats, no problems and only the best entries, even from the small participating countries. What do you dream about for the 2019 Eurovision Song Contest? What do you dream about for Eurovision 2019?